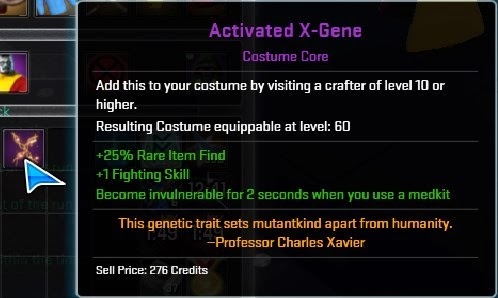 The previous weekend was Carnival week on Marvel Heroes and again we got themed Carnival items..
Lucky enough to get 1 of the Pancakes, for a super-high donate value! Also found a Fortune Mark 1 Card and more luck, a Herbie Pet! 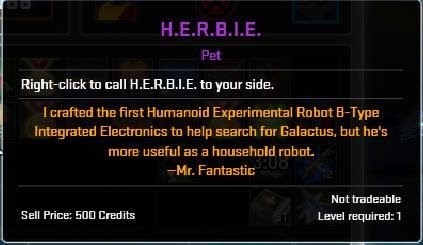 Now I got both versions of the Herbie pets! Moving on to last weekend which was Odin's Bounty Weekend. Joined a party and over several runs of Cosmic Terminals, found the last pieces for the puzzle for my Colossus. 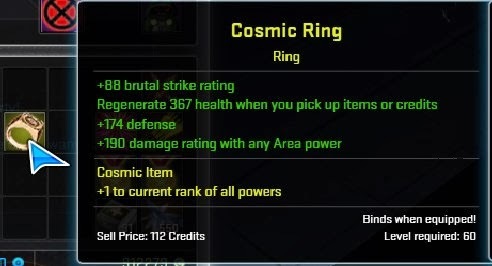 My very first Cosmic Ring! Huge headache on deciding between the two but I finally stuck to the '2 secs Invulnerability'. Anyone thinks I should have taken the '25% regen' instead? And yes! 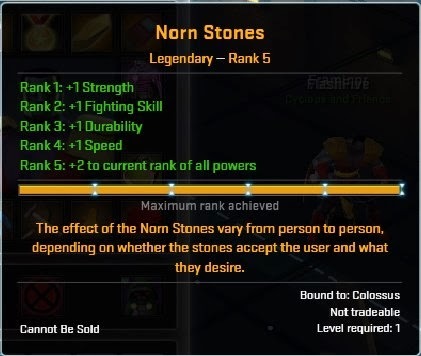 Hit Rank 5 for Norn Stones! That was a lot of farming but the different can be felt even fron Rank 4 to Rank 5. 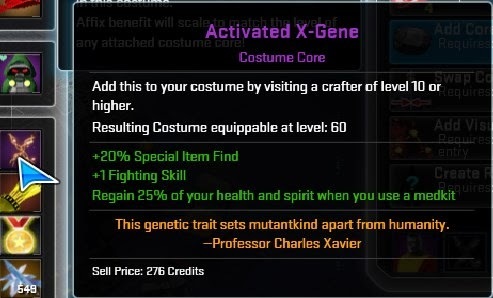 Still no luck on the White Suit Jacket and Tombstone Cosmic Medallion however. Best I got from the Odin's Giftbox was 10 Odin Marks or else I would be on my way for yet another Legendary for Gambit perhaps..